Strange... it's almost like we were built for (designed for?) belief. A new study from Harvard’s T.H. Chan School of Public Health is revealing some key benefits for being religious or spiritual with your children. 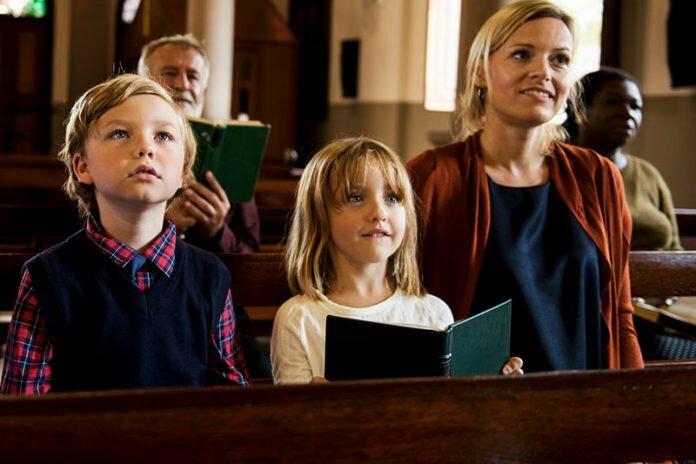 Last week the American Journal of Epidemiology published the findings that showed raising your children to be religious or spiritual can actually help their mental health when they grow up. After looking at data from 5000 people participating in a long-term “Growing Up Today Study, the Harvard team found a correlation between mental health and how a family worshiped. The results are summarized in an article on Forbes. The findings show that believing in a higher power and practicing your beliefs, as a child will help your mental health as an adult. This study didn’t look at the type of religion or worship the families participated in. It looked at how people practiced their beliefs. The study looked at people prayed, meditated, or attended church every Sunday. With such definitive results, maybe we should be teaching more about God to children and not try to remove faith from all public spaces?